Do you keep the bedroom door closed during the daytime hours? Is it a room designed for function, and nothing more? For some that might be fine, but for those that want every room of their home to be decked out in decadent décor, you shouldn't neglect the bedroom. Pillow shams are an easy addition to the bedroom that can have a significant impact on the look and atmosphere of the space. 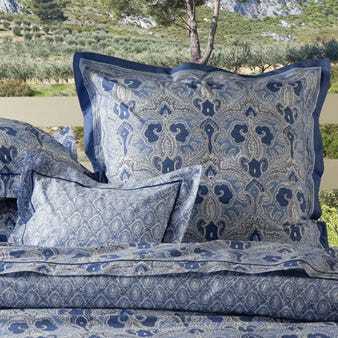 With our wide variety of styles, colors, and patterns, you should have no problem finding just the right set of shams to help transform your bedroom from your private quarters into the envy of friends and family.